Elizabeth Brown (Ellie) is a USDF Silver Medalist from Southern Oregon, who has had a passion for studying dressage from a young age. She has taken multiple client's horses to FEI with confirmed piaffe and passage, and has earned many champion, reserve champion, and high point awards . It is her life's passion to uncomplicate the nature of training the dressage horse. Ellie started riding as a six year old girl, on a Shetland pony that she found wandering loose in the foothills of Southern Oregon. By age nine, and several ponies later, she began dressage lessons with a local FEI trainer. With the support and many sacrifices from her parents, Ellie showed her ponies up and down the west coast throughout her childhood and enjoyed success as a young rider. At age twelve, she was the Oregon State Dressage Champion in Training and First levels on a pony she had trained herself that was two inches downhill. As a teen, Ellie, determined to pursue her passion for horses and dressage, began home-schooling herself and created her own high-school career, finding green or unbroke ponies and schooling them as hunter show ponies. Her ponies were sold all across the country and were known for their ride-ability and kid-worthiness. Taking several years off from full-time training early in adulthood to marry and start her family, Ellie later became assistant trainer at a dressage training and show facility, schooling many horses of all levels, shapes, and sizes. She also had the pivotal experience of riding under the instruction of Jeffery Ashton Moore, to whom she credits many of her training theories. 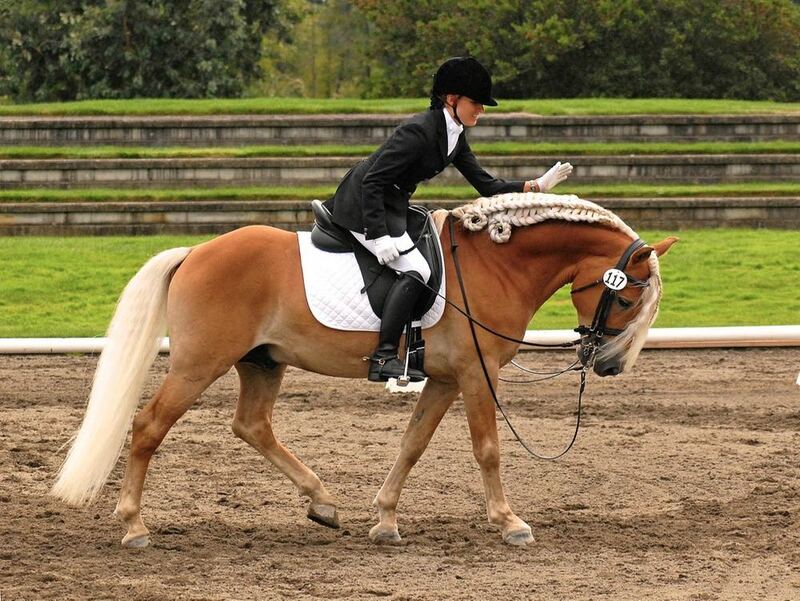 Following her years as assistant trainer, Ellie became the head trainer for a Haflinger breeder where she trained and campaigned the imported stallion Maximotion WSF, bringing him from “barely broke”, to a competition sensation at Prix St Georges with confirmed piaffe, passage, and tempi's. Ellie and Max accomplished this in 4 years of training, before he was sold as an AA mount. Ellie has cultivated a deep and passionate appreciation for teaching dressage in a vivid and tangible way, and her students appreciate how understanding the bio-mechanics of the horse and rider, along with a clear way of communicating with the horse, they are able to achieve results that surpass their expectations. Horses and riders from all back-grounds are welcomed- Ellie cherishes the opportunity to help all horses progress, from simple trail and pleasure, to competitive FEI. She is also enjoying pursuits in Western Dressage and Working Equitation. Children, beginning adults, and ponies are always welcome. To "sum up" riding philosophy on just one page would be negligent, but I hope to give a small example of some principles that should be priority in a rider's training/thinking process, yet are vastly over-looked. True understanding of what is actually happening bio-mechanically in the horse (and the rider!) in creating a certain “look” or “feel” is often lost by popular dressage lingo like “more from behind” and “not round enough”. It is vitally important for the success of the horse that the rider understands not just what went wrong, but why did it go wrong, and how we fix it. Horses must be communicated with in a way that encourages and rewards experimentation, and especially rewards the horse's first notion of the correct response to an aid. It should become the horse's job to notice the rider's position and energy status, and accommodate the request for more or less energy, balance, bend, gait, etc. Also, a rider's recognition skills must be developed so that they are able to discern what is needed next to help the horse and whether the issue at hand is a matter of a: bio-mechanics (Are we being effective at “talking to” the right part of the horse? Are we using our bodies correctly?) b: technique (Do we have effective technique so that the horse understands the aids? ), c: physical ability (Does the horse have sufficient strength and skill? ), d: psychology (Is our thought process, expectation, and training method in line with the nature of the horse's learning process? ), and so on. All too often, equine disciplines are taught by trying to create the appearance of a particular form or of "submission" as the cornerstone of their curriculum. I believe that any training process that constricts the horse to fit in a certain frame, without, or at the cost of, understanding the principles that create the correct form and function of the horse, is intrinsically amiss. "To be able to design helpful methods, we have to have profound knowledge. We have to study the horse's anatomy and biomechanics, so that we can decide which part of the system needs strengthening. This leads to the design of movements and exercises which we feel confident will have the desired effect, so that they will compel the horse to activate his muscular system, in the relevant areas." - The Baron Hans Von Blixen Finecke"
I consider myself incredibly blessed to have studied under mentor Jeff Ashton Moore and briefly with the late Baron Hans Von Blixen Finecke. It is to Jeff I credit the bulk of my training theories and can not express my appreciation enough for his brilliant mind. If I had all the skills of heaven and earth, and could ride to the highest possible standard, but could not effectively communicate it to you, I would be completely ineffective as a riding instructor. I like to take hold of a concept that might seem vague or complex, and turn it into something tangible and easily embodied by my students, so that they can identify the correct feeling and create the desired result. I try to create moments or exercises where my students can feel for themselves what I feel when I am on the horse, so that they can begin to self-idenitfy what is happening in the movements of the horse and give the corrections needed. It's really exciting when riders connect on their own, a feeling or sensation they get from the horse, to the correction they can give through their body- and it works! The horses we work with are so diverse! Each brings a unique blend of breeding, temperament, background and physical ability. The same is true for their human counterparts. In order for a horse and rider to become harmonious, the rider must take account all of those variables and understand how to apply the correct aids. Having a "tool box" of training solutions can only be helpful when the rider has a deep and intuitive understanding of how to apply the correct "tool", at the right time, and with the correct result in mind. Ellie is a highly intuitive instructor who can vividly articulate riding and training principles. It is a mistake to try to create the iconic “outline” of a dressage horse, i.e., “roundness of frame” by focusing efforts on the shape of the neck- rather, the “round” look that a dressage horse takes on should merely be the bi-product of correct balance and utilization of energy. The horse can't help but be “round” and “up-hill” when it has learned these things. Thus, the horse shouldn't be pulled into a frame by moving his face downward and backward, rather it should be “lifted” into correct balance by teaching him to use muscles that engage his thorax, scapula, pelvis, and hind leg, allowing him to lift into an upward arch. Rider's recognition of himself in space: Rider's bio-mechanics; rider's ability to identify and separate the use of different muscle groups; rider's ability to influence the horse (positively or negatively), riders direction of force. Rider's recognition of the horse in space: Horse's bio-mechanics, alignment, balance, dynamics of gait, horse's direction of force. Approaching the horse's learning process sympathetically: Horses don't have fore-knowledge of what will be asked of them. They learn retrospectively- they must "sum-up" what the intended response is after the correction or reward takes place. They also are not emotionally interested in pleasing or dis-pleasing the rider. They are mostly looking out for their own best interest and draw from what has worked in the past, however we do see different levels of ease of influence. Creating a training process that begets the wished-for result: having realistic expectations when something is new; encouraging the horse to experiment; recognizing the horse's first true attempt at accommodating the rider; discernment of when the rider should ask for more and when the rider should "let him off" and reward; deciphering between bewilderment and a "bad-attitude"; how to make effective corrections. Developing strategy: The what to do, i.e., actions, exercises, patterns, etc. Developing technique: The how to do it, i.e., refining the rider's skill, use of their body to have maximum influence over the horse, etc. Evaluating the horse for positive results: Horses in training should show positive side-effects of correct riding and schooling. Development of musculature, development of gaits (improved form and function), progression of trainability, ride-ability, and willingness. Aletheia: (al-AY'-thi-a) is Greek for “Truth”, but not merely truth as spoken; truth of idea, reality, sincerity, truth in the moral sphere, divine truth revealed to man, and straightforwardness. In ancient Greek culture, (alḗtheia) was synonymous for "reality" as the opposite of illusion, i.e. fact. I wholly pursue finding “aletheia” in all areas of my life, whether that be spiritually, morally, in relationships, regarding health or the care of my family and most certainly, in riding. Seeking Truth is so relevant in training horses because we must know the true cause of an issue in order to effectively change the outcome. I want to look for deepest, most elemental reason that something is happening, so that I understand the physics behind the exterior, and change the paradigm towards improvement. Finding that basal "cause" and being able to articulate to my students why something is happening and how to progress, is the real existence of my passion. It is part of my deepest self to seek truth and then be able to communicate it thoughtfully so that it can be meaningful to others. Ellie as a demo rider in a Kristina Harrison dressage demonstration. Kristina Harrison is one of our Pan Am gold medalists. At this point in Max's training, he is schooling third/fourth level. Max schooling Piaffe and Passage before he was sold. The first video is earlier in his Piaffe training. This video shows that the horse is relaxed and rhythmic, and that he is willing to lift and lighten his fore-hand while using his hind quarters to accept increased weight. At this stage, lightness, energy and rhythm should be prioritized over being "on the spot". The second video shows his developing passage and transitions into and out of Piaffe. In correct piaffe, you should see an absence of busy "over-management" aids which result in pulling and kicking at the same time. This demonstrates the horse's understanding and willingness to the aids and that he is not pressing onto the fore hand or dull to aids for increased energy. Piaffe and passage do not have to be complicated and should never be trained by excessive aids and repetitive drilling. These videos do not show his final Piaffe/Passage work, but even in the early phases of these movements, Max shows an ease about the movements- a testament to a thoughtful training process, especially considering that Haflingers are not a dressage standard breed. Ellie is a dedicated instructor and trainer, passionate in her pursuit of harmony between horse and rider. Ellie is a gifted teacher. She is able to communicate the many subtleties of dressage clearly and naturally, in a way that is easy to understand. Working with her gave me a deepened understanding of the relationship between horse and rider as well as immediate, noticeable results in the improvement of my riding. Ellie was able to work with me as a beginner with such attentiveness and patience, providing me with a solid foundation of skills in a short time. She worked with me on my specific goals while guiding me to really understand the bio- mechanics and larger purpose of dressage in creating harmony between horse and rider. To anyone considering working with Ellie, or having her work with your horse, based on my experience of working with her, I would highly recommend Ellie. For about 6 years we had horses because our daughter, 12 years old now, like so many young girls, loved horses, and we ended up owning two. About three months ago, our daughter developed a strong interest in basketball, cross country and track as well as her music with piano and flute and the horses were not being used, so our daughter agreed it was time to sell them. However, there was one problem, and it was that one of our horses was very difficult to load in a trailer (read virtually impossible). Over the years that we owned Dakota we primarily rode her on our ranch to avoid the difficulty and frustration of attempting to load her. In addition, during the time we owned her we had several trainers give us advice and tried to help us get her to load. The outcome was always she did not load or it would take 45 minutes minimum to get her in the trailer. Totally unacceptable! The big change came when Dakota remained for sale and we met Ellie. She understood our problem of getting Dakota to load and was very positive that she would be able to get her into our trailer. I did not think she would be able to do it because the longer Dakota was pastured, the more difficult it became to even try to load her. On top of that, Dakota had been pastured for about six months and had not been ridden at all during that time. Ellie had a big challenge in front of her and I was certain she, like so many others, would fail. However, much to my surprise, within 10 minutes Ellie had Dakota willingly walk into the trailer and load. Reflecting on her success where so many others had failed, I credit Ellie's calm demeanor and approach and her horse sense. Although Dakota initially resisted, Ellie spoke softly and encouragingly to Dakota, praised her for any move, however small, into the trailer and gently touched and petted her. The bottom line was that you could see Dakota relax as she became more comfortable as well as safe in Ellie's presence. Bottom line was that within 10 minutes, Dakota stepped up into the trailer and walked all the way to the back of our slant load 4 horse trailer! It was amazing to see (our daughter couldn't believe it either). It is for this reason (and supported by Ellie's friendly and outgoing personality) I highly recommend Ellie if you are considering working with her or having her work with your horse. My feeling is you will not be disappointed. 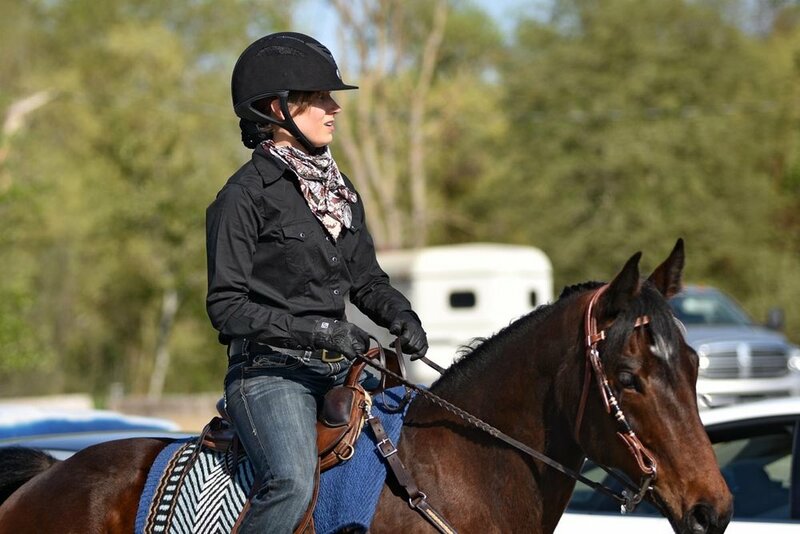 Ellie Brown is not only a talented and accomplished rider, she is a highly intuitive instructor who can vividly articulate riding and training principles. With such clarity in communication, my confidence has grown exponentially. I finally understand where the “how tos” of riding, and the “whys” underlying them, come together to connect the biomechanics of the horse and rider so that they can form a collaborative and successful partnership. Practicing these principles under the Ellie’s keen eye, and then applying them in my daily rides, I feel I have been given the golden key to become the skilled rider I have always wanted to be for 29 years. Now with the connection made between the mental, emotional and physical components of skilled riding, the beauty and subtlety of dressage is attainable for me and my horse. But as I have had the great pleasure to come to know her as a person, I have learned that what makes Elizabeth Brown exceptional is that she is seamless in the compassion, empathy, skill, honesty and integrity she brings not only to her work with riders and horses, but to everything else she does as well. She is truly one of a kind. I was looking for a talented, patient trainer to take my mare from a just broke horse, with a few rides under her belt and a troubled past, to the show ring. Due to the mares past history, and sensitive quick witted nature, she was not an easy horse to figure out. Ellie's ethical principles, knowledge, and ability to adjust the lesson not only assured me my mare would continue on her journey in trusting humans, but excel as a trusted trail partner and show horse. Ellie also helped me achieve better skills as a rider. I hope to continue working with Ellie and taking lessons from her for many years to come, every encounter with Ellie is cherished as an opportunity to learn something new. Watching her ride and start many horses over the years, and bring out their hidden talents, has been amazing and inspiring, Ellie will bring out the best in you and your horse while you have fun doing it. Southern Oregon is very lucky to have this level of trainer among our midst. It is refreshing to have a trainer who treats my precious animals with such respect. I have worked with many trainers in the past, and by far, Ellie is the best "entire package". Ellie is capable and trustworthy and she has done an excellent job of starting, training and campaigning my 6 year old imported Haflinger stallion Maximotion WSF during his first year showing. Ellie has also started several of my 3 year olds, and her ability to produce quiet, confident youngsters has been a real plus to my customers. Thank you Ellie, you and your family are great people to work with on so many levels. Ellie is a wonderful trainer whose methods are quiet, gentle, and consistent with a young horse. We were lucky enough to have her start 'Legacy WSF' my Mom's two year old Haflinger mare. Ellie has built a foundation of trust and confidence in her that will allow her to grow into a wonderful performance show horse! Legacy already has graceful and safe ground manners, along with harmony and trust with her riders. I am forever grateful for Ellie's outstanding talent!! — Katie McAnally, Caldwell ID. We are more than pleased with Ellie's training and riding of Samson. The fact that she took him from Training Level to winning Prix St. George in one season speaks for itself. —Bill and De Barnett, Medford, OR. Ellie started my four year old Oldenburg gelding, Iceland, in the fall of 2008. Her quiet, consistent training has taught him to be a happy and confident boy. He enjoys his time with Ellie and is always happy to go to work and learn more about the “training scale”. Iceland is so fun to ride — light, forward and willing. Iceland will begin his dressage show career in 2010 debuting at Training Level with me and First Level with Elllie. Ellie — Iceland and I appreciate you so much! Ellie helped me on my seated trot immensely. I have been working on it for two years via many lessons, and in one lesson I had it. The next weekend I competed in my high school equestrian meet, and took second place. A huge improvement. I really liked Ellie's teaching style for our pony club lesson. She taught me to use my seat better to set pace while on a long rein. I still do her exercises when I am warming up my pony. We can't wait to have her back to teach again! In forty years with horses, I have had the good fortune to work with several excellent professional trainers and attend clinics with a few of the “big names”. Ellie Brown is well on her way to joining their ranks. She is a thoughtful, intelligent, intuitive trainer with an excellent work ethic and admirable integrity. —Nancy Sturm, Sturm Ranch, Applegate, OR. Ellie is a good teacher because she consistently refers her instruction back to how horse and rider need to communicate and she does it in a thoughtful, but plain-spoken manner. As a beginning rider, understanding the whys of what I and the horse are asked to do are helpful in not only the lessons, but for those times away from lessons when it’s just Lilly and I trying to understand each other. Ellie sets ambitious goals for improvement and has a plan for how she expects us to get there. Although I don’t expect to ride as anything more than a hobby, I feel confident that Ellie’s instruction is positioning Lilly and I to be a mutually respectful, and safe, horse/rider team. This summer (2000) we had the delightful opportunity of hosting Ellie Brown in our home for six weeks while she mentored our 13-year-old daughter and started our young pony. Ellie is capable and confident, sweet and even keeled, and wonderful with children. She is an accomplished horse-woman with a rare work ethic and integrity. Ellie lives in the Rogue Valley of Southern Oregon and is available for training, lessons, and clinics. 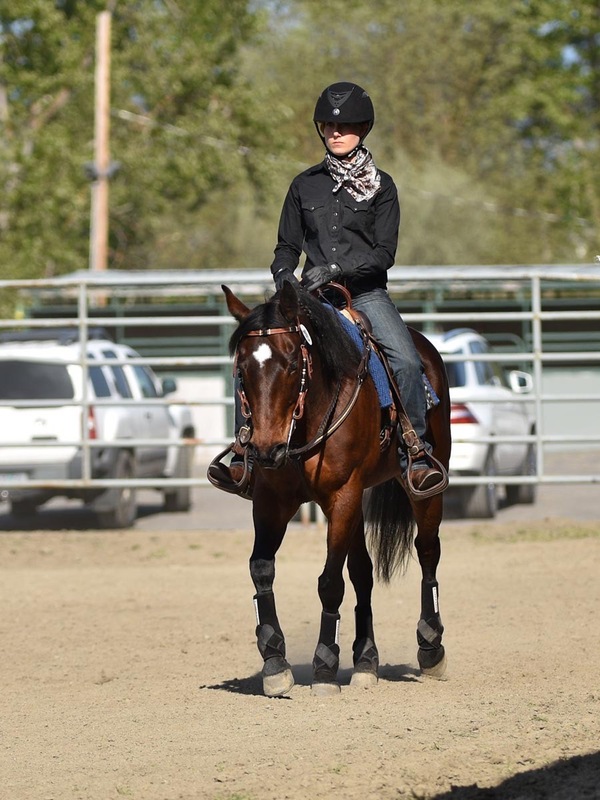 She enjoys working with riders of all ages and skill levels, and is also excited to become involved in Western Dressage and Working Equitation. Riders and horses need not have dressage showing as their goal- all disciplines of horses/riders that wish to succeed are welcome.